Could your dog star in Legally Blonde at Nottingham Theatre Royal? Auditions info. – East Midlands Theatre. OMG YOU GUYS, AUDITIONS FOR DOGS!!! 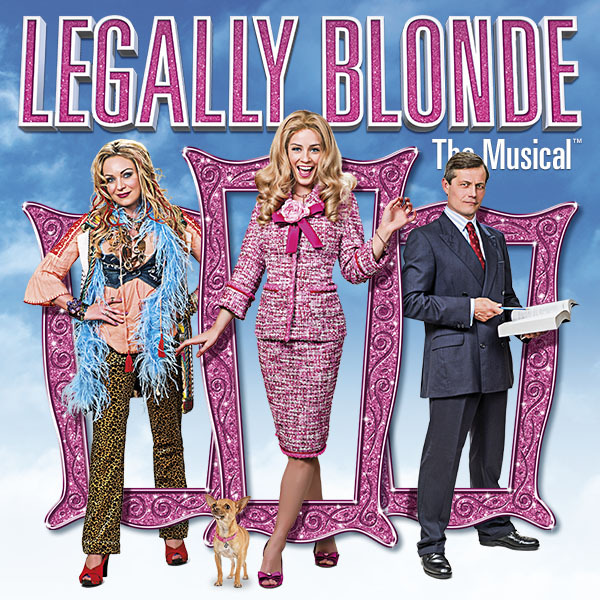 Legally Blonde The Musical is going on tour and the producers are holding auditions in Nottingham to discover a four-legged star for the show. Could your pampered pet or family pooch be destined for fame? Producers of a major new tour of the smash-hit Broadway and West End musical Legally Blonde The Musical are on the hunt for four-legged stars across the UK and Ireland. EastEnders’ Rita Simons, Lucie Jones, who represented the UK in the 2017 Eurovision Song Contest, and Bill Ward, star of Coronation Street and Emmerdale, are the human stars of the show but Legally Blonde The Musical also has two dogs in the cast: A Chihuahua called Bruiser and another called Rufus. Bruiser (above) is already cast and will be on the road with the show but producers have decided to hold auditions for ‘Rufus’ in every town and city on the tour. Auditions for Nottingham will be held at Nottingham Tennis Centre, University Blvd, Nottingham from 2 – 5pm on Saturday 3 February. Legally Blonde The Musical is an all-singing, all-dancing romantic comedy, a fun-filled, feel-good pink fest. College sweetheart and homecoming queen Elle Woods, doesn’t take no for an answer. When her boyfriend dumps her for someone more serious, Elle puts down the credit card, hits the books and heads for Harvard Law School. Along the way, Elle proves that being true to yourself never goes out of style. Based on the Reese Witherspoon film, Legally Blonde The Musical earned seven Tony nominations and 10 Drama Desk Award nominations during its Broadway run. In the UK it was nominated for 5 Laurence Olivier Awards winning 3 including Best New Musical, and was nominated for 8 Whatsonstage Awards winning 4 including Best Musical. Legally Blonde The Musical, with music and lyrics by Laurence O’Keefe and Nell Benjamin and book by Heather Hach, based on the novel by Amanda Brown and the MGM motion picture, will visit the Theatre Royal Nottingham from 15-19 May 2018 as part of a major tour of the UK and Ireland.